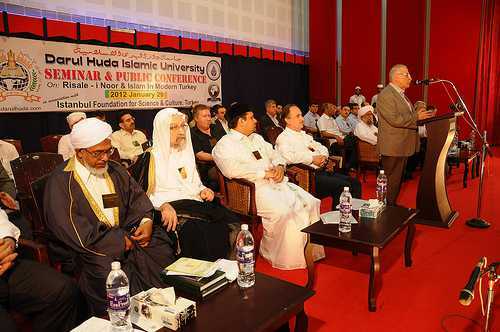 Kozhikode: Darul Huda Islamic University hosted a one day international conference on Risale- i Nur and Islam in modern Turkey on 29 January at Taj Convention centre, Chemmad in Malapuram district. The conference was organized in collaboration with the Istanbul Foundation for Science and Culture [IFSC], Turkey. The conference opined that the best way to resist the prevailing wind of modernization and Globalization is to learn, understand and preach the teachings of Bediuzzaman Said Nursi. The great 20th century scholar laid the intellectual stone for the formation of modern Turkey. The theme of conference and seminar was the life of Said Nursi and his renowned hermeneutical text of Quran, Risale-I Nur. The event was hugely successful as it maintained good standards, with highly engaging lectures and paper presentations. Various aspects of the theme were discussed and valuable comments were raised in context with the present world miseries. The audience included selected students and public, who registered their names earlier. Ihsan Musthafa, scholar from Iraq and the translator of Risale-I Nur into Arabic inaugurated the conference while Sayed Munawarali Shihab Thangal presided over the function. Pro Dr. Faris Kaya, the Secretary of IFSC, Turkey presented the theme of conference. Mohammed Nuri Gulac, living student of Nursi and the president of IFSC and Abdulla Yegin, another living student of Nursi gave their speeches. Later in the seminar held within two sessions, scholars from USA, UK, Canada, Turkey and India presented papers on different perspectives of Risale-I Nur and their applications in the current scenario. Pro Dr. Faris Kaya presented the paper – ‘the concepts of morality in the life and writings of Bediuzzaman Said Nursi, the Resale-I Nur.’ The paper critically analyzed Nursi’s well known Damascus sermon Delivered at Umayyad mosque in 1911. He explained those six sicknesses which grasped the humanity at large and particularly the Muslim world as told by Nursi during his sermon. Firstly: the rise of a life out of despair and hopelessness in social life. Secondly: the death of truthfulness in social and political life. Fourthly: not knowing the luminous bonds that bind the believers to one another. Fifthly: Despotism, which spreads just like contagious diseases. Sixthly: Restricting endeavors in accordance with personal benefits. Prof. Dr. Colin Turner, University of Durham, UK presented the paper ‘The Mecca-Medina Paradigm: The Nursian perspective on Reform’. He said, one of the key distinguishing characteristics of Said Nursi is that he stands out from the vast majority of popular Muslim thinkers who advocate a political and thus ideological Islam which centrally aims at governance, driving inspiration out of and highlighting the Medina period of prophet’s life. After the First World War, Nursi no longer considered politics as a means for safeguarding Islam. He thought that the future of Islam depends not on someone who is ruling and instead on people reviving the faith in their hearts. The politics of the ‘people of the world’, he claimed, were inimical to the aims and objectives of Islam, which is why he rejected any kind of committed personal engagement with political or administrative affairs. For Islam to flourish, Nursi believed, religion should be communicated correctly and the light of belief should be strengthened and re- strengthened continuously. 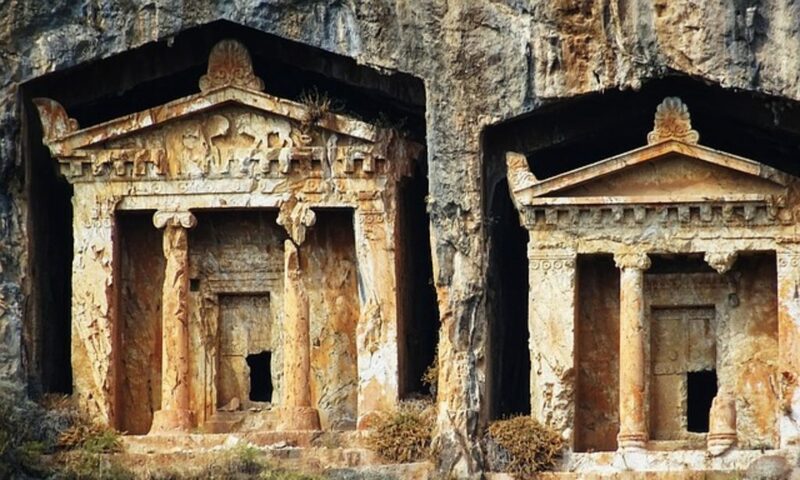 The Resale-I Nur, which was the fruit of several decades of hardship, oppression, imprisonment and isolation, was Nursi’s lasting contribution towards these aims, he said. Dr. Faisal Hudawi Mariyad (Aligarh Muslim University) presented the paper ‘Nursi’s approach: A paradigm shift in Muslim Socio- political thought.’ Riza Akcali, Turkish Ex minister and Member of Parliament presented his paper ‘Sustainability concept in the light of Tawhid: The Risale perspective.’ Prof. Dr. Thomas Michel talked on ‘worship of God as the Basis for Human peace and Harmony: A Risale- i Nur perspective.’ He urged Muslims and Christians to stay united in the name of God. Dr. KM Bahaudheen Hudawi talked on ‘influence of Ahmed Sarhindi in the thoughts of Said Nursi.’ Prof. Dr. Alpaslan Acikgenc, the head of PG Studies at Yildiz Technical University, Istanbul presented his paper: ‘Conception of Human as the ground for social tranquility; a Quranic perspective as reflected in the Risale-I Nur’. In the second session of the seminar, Dr. Saeed Hudawi( Hamdard University), Ihsan Mustafa, Bagdad, Dr. Bilal Kuspinar,Lecturer at McGill university, Canada, Ali Katroz, IFSC, Turkey, Prof. Dr. Irfan Omar, lecturer at Marquette University, USA, Dr. Sayed Abdul Muneem Pasha, lecturer at Jamia Millia Islamia, New Delhi presented their papers on various topics interpreting Risale-i Nur in the present world context. However the organizers failed to attract or invite the audience from different schools of thought within the Muslim community of the state. There were hardly any women on or off the dais. Most of the audiences were the students of Darul Huda and associated colleges. Fr. Thomas Michel inaugurated the public conference held at Darul Huda in the evening. Sayed Hyderali Shihab Thangal was the chairperson. Ulema, ministers and the public were gathered for the concluding ceremony. via International Conference on Risale-I Nur held at Darul Huda | TwoCircles.net.